Health humanities is using subjects traditionally known as the humanities like literature, philosophy, music, drama, paintings among others for specific purposes in health education. A health humanities module was offered to the second semester basic science medical and to the nursing students at AIMU during the Summer 18 semester (May-August). The module used small group, active learning methods to explore the subject. Audience elicitation sessions, interpretation of art, group work, role-plays were employed. 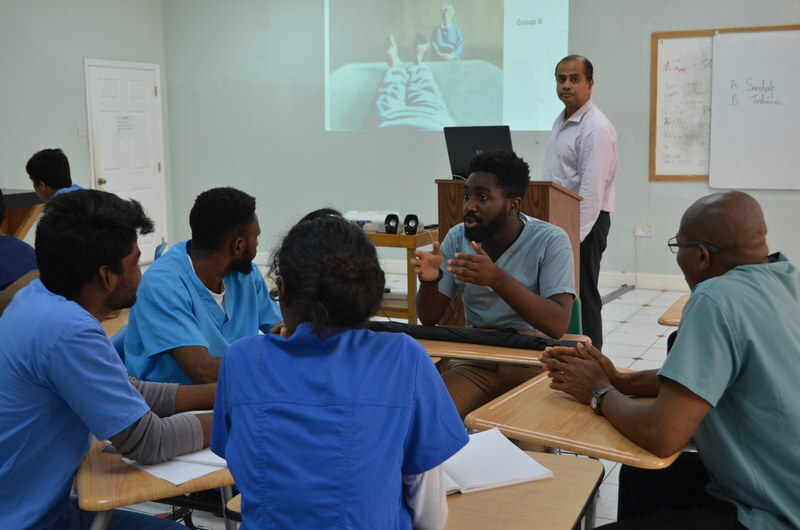 Among the topics addressed during the module were empathy, what it means to be sick, the patient, the patient-health practitioner relationship, the health science student, and death and dying. The module was based on the principles of interprofessional learning with medical and nursing students working together in small groups. Dr Rose and Dr Shankar were the module facilitators.